Looking for a traditional design with a touch of modern in your side tables? Look no further. 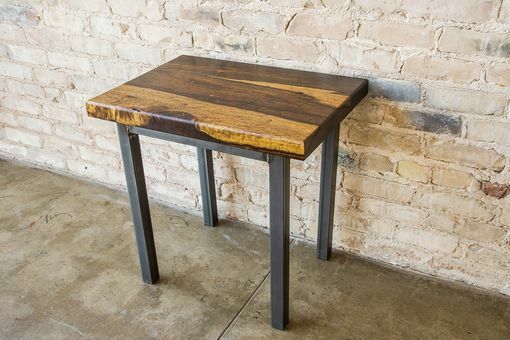 Made with 1.5" thick tops, these end/side tables are sure to complement any home. 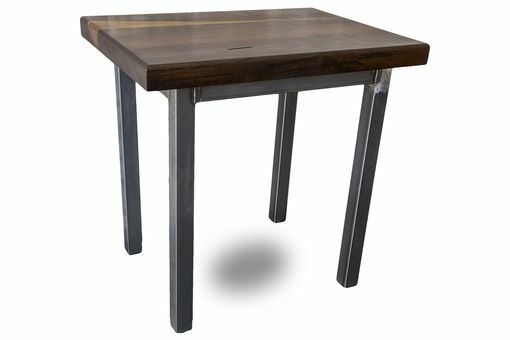 With a more traditional base design and top, yet a touch of modern with the mixture of wood and steel, these tables have it all. 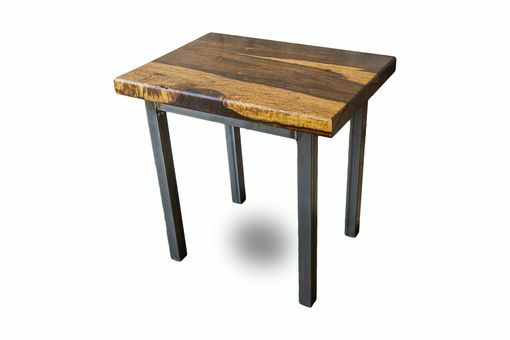 The above pictured tables feature Brazilian Imbuia table tops. Imbuia is a very rare, yet completely unique wood. No two pieces are alike, resulting in truly one of a kind pieces, every time. 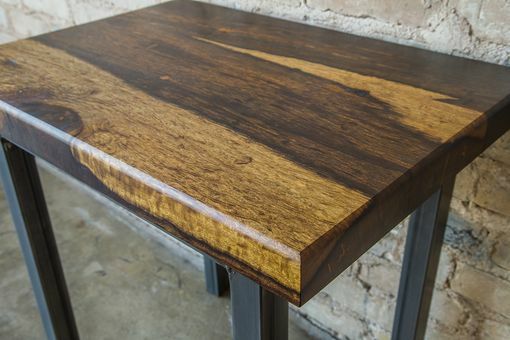 Custom orders can be made with several different species of wood. Just contact for details. Ships from Austin, TX. Ships fully assembled and crated. White Glove service available upon request for an addition charge. 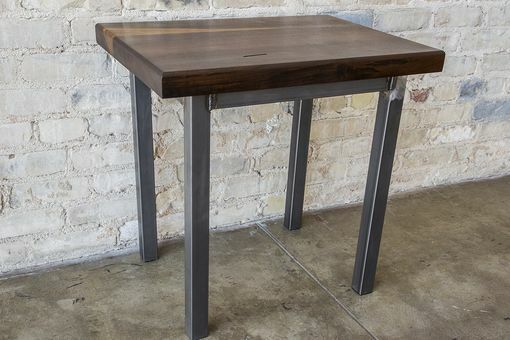 Order today to make these tables part of your living room!